I was shocked by BZ's Grill. Food on the North Shore is traditionally terrible. 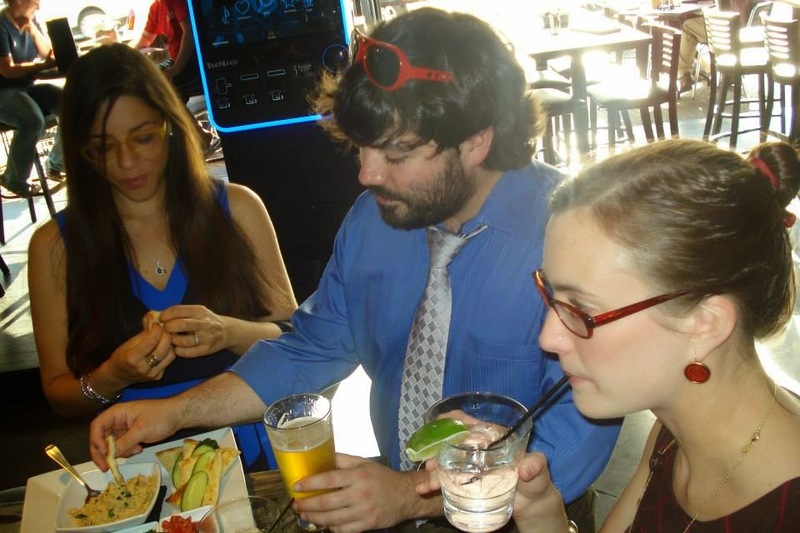 For example, I hate the food at McFadden's, Bettis Grill, Mullen's and Titled Kilt. I'd honestly rather eat at taco bell. These bars all serve crap food suitable for baseball fans. I typically avoid the North Shore like the plague, unless I'm looking to get my casino fix. BZ's is a pleasant exception. I honestly did not hate a single thing I tried. The turducken burger (pictured above) was a very clever take on an old favorite. A traditional turducken is a duck stuffed in a chicken stuffed in a turkey. 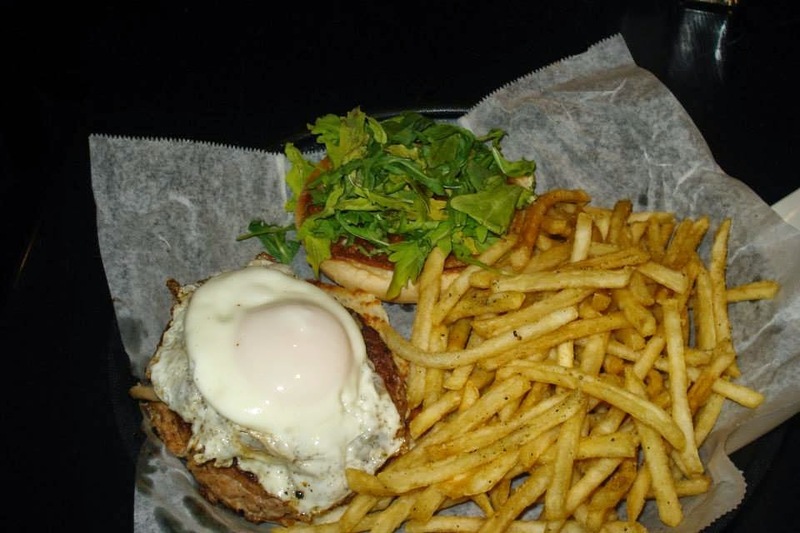 The BZ's variation was a turkey burger served with duck confit and an egg. I usually hate turkey burgers, but the turducken at BZ's presented a fantastic flavor combination along with a nice crisp bun and a well seasoned turkey patty. The arugula was a little sad, but I ate it anyhow. During happy hour at BZ's you can get a hummus plate for $4. This is quite a deal considering the hummus is pretty righteous and served with pesto, a hot pepper sauce and a tomato salad on the side. Additionally, the bartender was even kind enough to provide us with samples of BZ's house brined cucumber slices and onions. (I think they should throw these items on the hummus plate as well.) I want to go back to BZ's to try their Tuesday special: a can of beer, a bbq entree and two sides for $10. Who is in?